A museum-style gallery filled with exhibits, hands-on activities and computer programs to help demystify the judicial branch of state government. Free 1 hour tours; groups need a reservation. Open M-F 9-4, closed state holidays. Call 517-373-7171. Directions: The Michigan Supreme Court Learning Center is located on the 1st floor the Michigan Hall of Justice, 925 West Ottawa Street, in Lansing between Ottawa Street on the north, Allegan Street on the south and Martin Luther King, Jr., Boulevard on the west. It is on the opposite (west) end of the mall from the Capitol Building. Visitor parking is located on Allegan Street across from Michigan Library and Historical Center (MLHC), southeast of the Hall of Justice, and east of the Veteran's Memorial Park. From the East: Take I-96 west to Exit 106B (127/496 exit). Follow I-496 for downtown Lansing to Exit 5 for M L King Blvd. Proceed north on M L King Blvd to the intersection of Allegan Street (second light). Turn right onto Allegan. 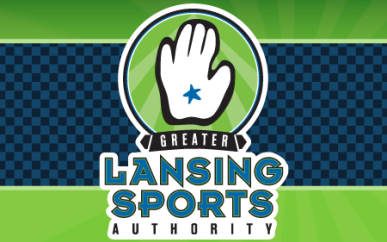 From the North or South: Take US-127 until you are able to exit onto I-496 for downtown Lansing. Use Exit 5 for M L King Blvd. Proceed north on M L King Blvd to the intersection of Allegan Street (second light). Turn right onto Allegan. From the West: Take I-96 to Exit 95. Follow I-496 for downtown Lansing. Use Exit 5 for M L King Blvd. Proceed north on M L King Blvd to the intersection of Allegan Street (second light). Turn right onto Allegan. From the Flint area: Take I-69 to Exit 89A for US-127 South. Proceed on 127 for approximately 4 miles until you can exit onto I-496 for downtown Lansing. Use Exit 5 for M L King Blvd. Proceed north on M L King Blvd to the intersection of Allegan Street (second light). Turn right onto Allegan. Hours of Operation: Open Mon.–Fri. 9 a.m.–4 p.m., except state holidays.